The double-murder trial for a Dermott man, for the January, 2016, early Sunday morning shooting deaths of 2 Monticello residents is underway at the courthouse. 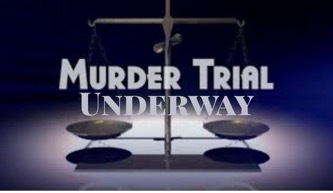 The trial is expected to take all week. Daily updates will be pisoat MonticelloLive.com. 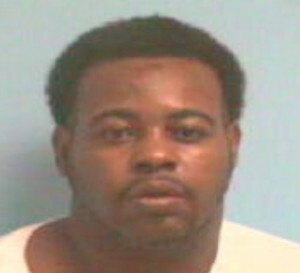 A 38 year old Dermott man was arrested in Little Rock in connection to the Sunday morning homicide in Monticello. Lavar Thompson,, the suspect in the case stiod before District Sara Hartness, Wednesday afternoon, and is being held without bond because the murder charges are capital offenses. Thompson was initially believed to have been a victim in the incident until during the investigation he was developed as a suspect. Baptist Hospital was contacted and they had released him shortly before our call to them. The U.S. Marshall Service was contacted to assist in the apprehension of Thompson. On 1-12-16 at approximately 3:00pm, Thompson was arrested in Little Rock by agents of the Marshall Service. He will be transported back to Drew County and interviewed by Arkansas State Police and Monticello PD detectives. An arrest warrant was issued by Circuit Judge Kenny Johnson on 1-11-16 for the charges of Capital Murder with no bond at this time. Monticello and Arkansas State Police are investigating multiple shootings that left 2 victims dead and 2 more wounded, in Monticello, early Sunday morning. Monticello Police received a telephone call Sunday morning, reporting a homicide at 120 South Chester Street. It is believed related activity also took place on N. Cooper St.
Local police officers were dispatched about 6:20 AM where they found Jeremiah Jones, 37, dead inside a car not far from the Chester Street address and inside the house, Shalonda Binns, 37, was found dead. Both bodies appeared to have sustained gunshot wounds. The bodies have been transported to the Arkansas State Crime Laboratory to confirm a manner and cause of death. Police also located Lavar Thompson of Dermott at the Chester Street address. 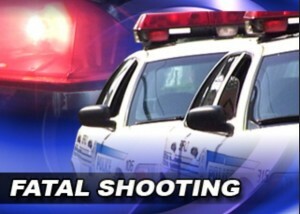 He had sustained a gunshot wound and was transported to a Little Rock hospital. Special Agents of the a Special Agents of the Arkansas State Police Criminal Investigation Division were contacted to assist Monticello Police as the case continues to be investigated today. Another female victim, being treated in Little Rock, is expected to make a full recovery. This morning’s shootings have no relations to last weeks murder at the Pilgrim Rest apartments. This entry was posted on Wednesday, October 31st, 2018 at 12:43 am	and is filed under Police /Legal. You can follow any responses to this entry through the RSS 2.0 feed. You can leave a response, or trackback from your own site. So sad. Praying for then all. Is it safe in Monticello anymore? Murders. Armed robberies. Thefts. The town is becoming very crime ridden. Prayers going up for the family and friends. May God wrap his loving arms around you all at this time and the days ahead. The real terrorists and enemies of the people in this country are already here. 1 death affects a lot more than the murdered and the murderer. Many lives suffer and are changed forever. We are seen by God all the same. revenge is never productive. I don’t care where you came from, if you have money or not, who you think you are, we are all vulnerable to these home grown terrorists. For this nation to survive, we have to put aside attitudes that promote these terroristic behaviors. Look inside yourself, and find out who you are…accept yourself, be the caring person you were meant to be, and 1 small step at a time, we can all live together for everyones’ benefit. It’s really sad to see so many dying for nothing. Life doesn’t mean anything anymore. I’m praying we stop killing each other and blaming the white man for everything going on. It’s time for change, prayer, and a true revival to break out. Where people having heart changes, 2 young people taken from their children. Really the truth is our people killing off each other. No I’m not racist, just making the statement i hear everytime someone killed by any other race than black/ African American. Lord help us as a community, and as a nation. Praying for all families that are involved. Put down your guns! No one wants to fight anymore, which that is not the answer either but at least you will live to see another day. This is just SENSELESS! I will miss you, Shalonda!! I am heartbroken, shocked and horrified at this senseless act. Lord help us all, family and friends to get through this. I worked with Shalonda at Hampton Inn… she was definitely always smiling, always asking me how my life was going, how I was doing… she was so caring (tears….). Lord I know she’s with you, help us to remember that and to be comforted with that fact. As hard as it is, help us to forgive the shooter, vengeance is yours and you will make sure that he pays for what he did. Lord, help those close to the family be calmed and let the authorities work the case to convict him, in Jesus name, amen. It’s such a shame that in society today everybody wants to point fingers and blame others instead of accepting responsibility. The person that shot and killed these people should be punished. Or will he be just another “victim” that thinks society owes him something. This woman was taken from her children, and that can never be replaced. People need to start speaking the truth, and punishing these murderers so harshly that they’ll think twice about committing crimes. The guns were not the murderers, the mindless idiot behind the gun was. This was such a horrific act. It’s just another sign that we are living in the last days. I don’t know what triggered such cruelty and I truly don’t care. However, I will say guns don’t kill people. People kill people. People need to get a connection with God and think things through. Loved ones are left behind with these unfavorable memories. Innocent children are left without a mother and for what?! Total nonsense. This world isn’t dangerous, senseless, hot headed, immature and mentally unstable people are!! !